Have I ever mentioned I’m a big fan of potatoes? Well, it’s true. So when tasked with bringing a dish to this week’s virtual tailgate party–hosted by none other than the #SundaySupper crew–the first thing that came to mind was potato salad. I know, I know, potato salad has been done all over the place, but trust me, not like this! Admittedly, I grew up around some amazing potato salads in my family, however it wasn’t until high school that my full obsession bloomed. 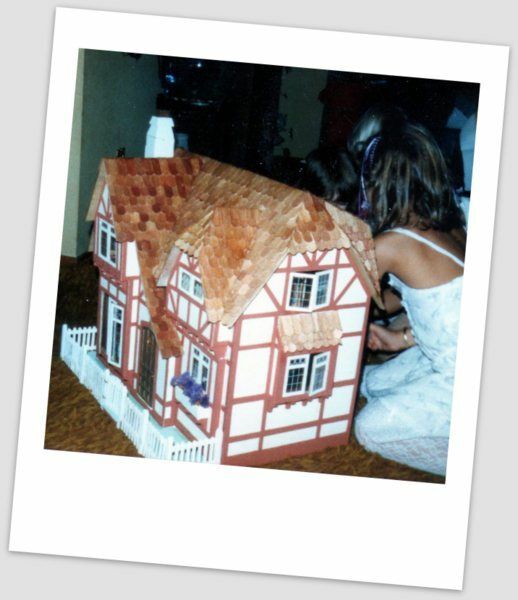 It all started in a friend’s garage–we were building a doll house for my niece and had been at it for hours when his mother fetched us some snacks. Honestly, the only thing I remember from that day was the potato salad. First, to my surprise, it was dotted with peas, which popped with sweetness in every bite. But it was the overall flavor that WOWed me. While my teenage palate my not have been fully developed, the depth of flavor in this simple dish was amazing. Turns out, she was boiling her potatoes in the pot with her chicken and seasonings. So there you have it. The ultimate secret weapon of the potato salad wars. It would be a good 15 years or so later before I attempted to make my first potato salad. Weird, right? Big potato salad fan, not so big on preparing it. In any event, a bunch of us were attending a concert at the Stern Grove Festival, which is a picnic type event, and someone suggested I bring potato salad. I knew right away I wanted the potatoes cooked in chicken broth, I wanted the sweet pop of peas mixed in, and I was fully prepared to kick it up a notch by adding bacon. And that’s how this recipe was born. At the picnic, my friends declared it the best potato salad ever, that is, until the next time I made it and stirred in some of the bacon drippings. Oh yes, I went there. The resulting salad is rich and surprisingly complex, considering the few ingredients involved. I know adding the drippings may sound over the top, but mayo is nearly as bad as bacon grease anyway when it comes to fat and calories. Besides, you know this revelation just piqued your curiosity. It’s OK to admit it. So gather up your ingredients, and let’s begin–cooking is truly easier when you have everything you need out and ready to go. 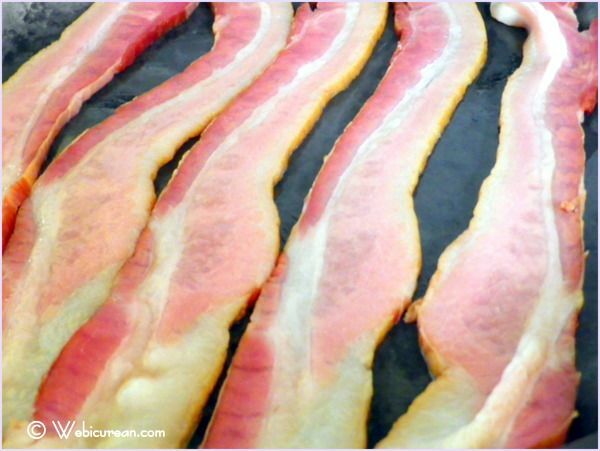 First get your bacon on–I used Applewood smoked bacon for this recipe, which lends an irresistible smoky sweetness to the dish.Â You should also get your chicken broth in a pot and bring it to a boil. 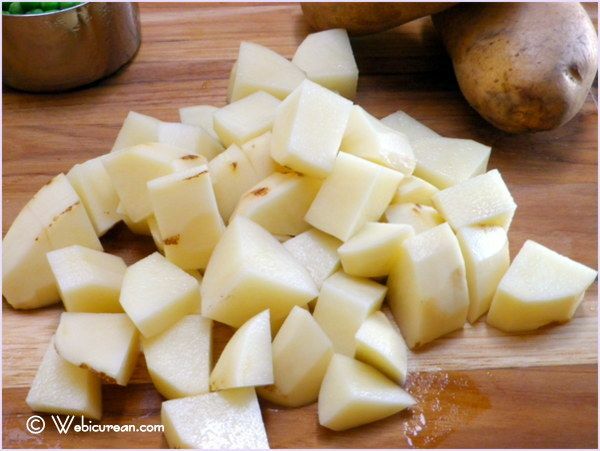 While the bacon is sizzling, and the chicken broth is heating up, peel the potatoes, then chop them into bite-sized pieces (about 1 inch squares), and add them to the chicken broth. Boil until done but still firm, drain and cool. I used russets here, because I’m a russet girl. But feel free to use whatever you prefer–waxy potatoes, like reds, tend to hold up better than their floury siblings. This picture doesn’t really represent an additional step–I just thought the cooked bacon looked pretty. While the potatoes are still warm, whisk together the bacon drippings, vinegar, and mustard, then toss with the potatoes. My package of bacon contained 9 thick slices which rendered 1/4 cup fat. I used it all. Once the potatoes have cooled, gently stir in the mayonnaise. Chop up the bacon and onions. Reserve a small amount of the bacon for garnish. Fold the bacon, peas, and onions into the salad. IfÂ you overcooked the potatoes like me, you’ll need to use a light touch so you don’t end up mashing them. Now serve yourself a generous portion topped with more bacon and parsley. Just remember, once you try this, you can never go back. Enjoy! Wow your friends and family with the best potato salad ever. 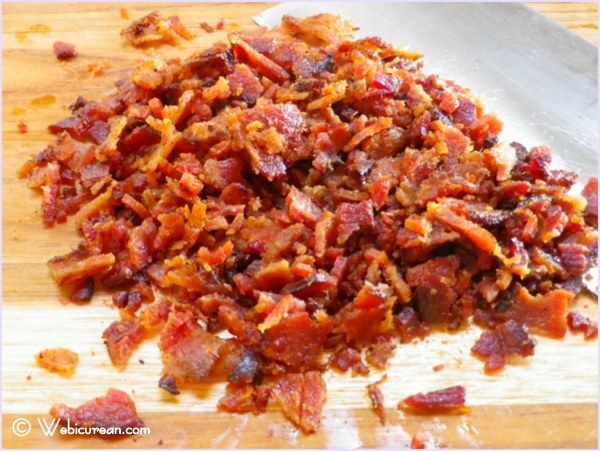 12 oz thick cut Applewood smoked bacon, cooked and chopped, reserving 2 tbsp. In a large pot, boil the potatoes in the chicken broth until done, yet firm. Drain. Whisk together bacon drippings, vinegar, and Dijon mustard, and toss with the potatoes while still warm. 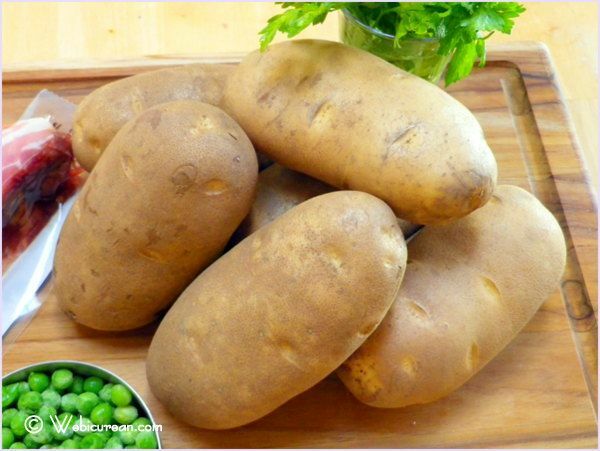 Allow potatoes to cool completely before proceeding. Fold in the mayonnaise, then the bacon, peas, and onion. Add salt and pepper--between the mayo and bacon, you can probably go light on the salt. Garnish with parsley and reserved bacon. Join us on Sunday as we share our favorite tailgate recipes and tips. 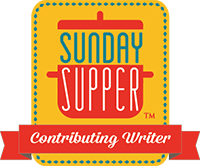 Hop on twitter at 7pm EST for the live #SundaySupper chat. Cheddar Cheese Jalapeno Bites byÂ Mama.Mommy.Mom. your potato salad looks delicious. How can you go wrong with bacon? The truth is, you can never go wrong with bacon! I too love potato salad and this is a great twist! Wonderful recipe, full of good flavors. Love the dollÂ´s house! Happy sunday! These potato salad looks irresistible! I want to jump through the screen and eat the bacon. 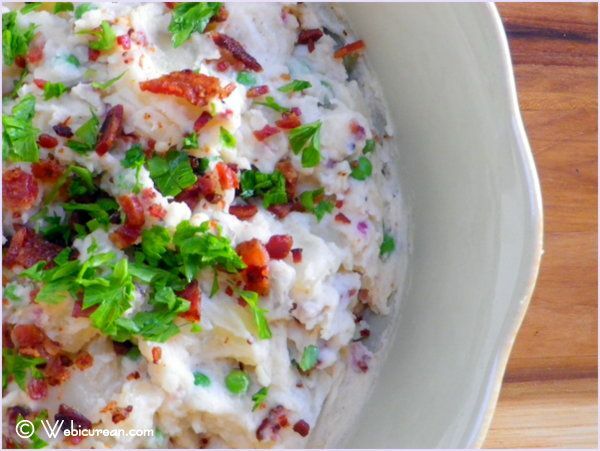 Any potato salad with bacon in it is a winner to me! I was looking for potatoes recipe as I just bought loads of it yesterday and this recipe just came in on time! This is so delicious and confirmed to make it soon! Thanks for sharing. I love all kinds of potato salad! Got to try this, Anne! 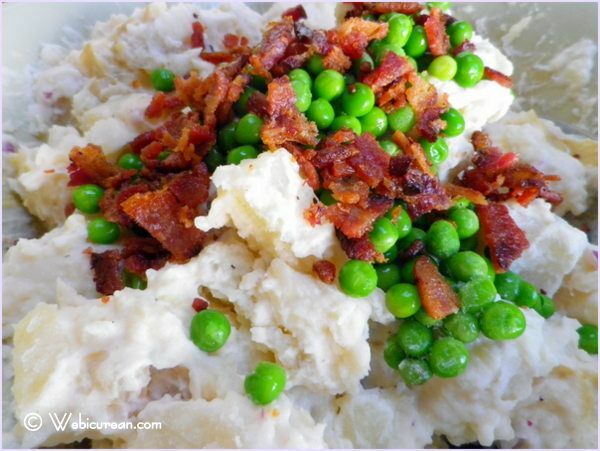 I love the addition of peas to the potato salad (and bacon…yummm)! This sounds deeeelicious. I’ve never put peas in my potato salad before…but I’m definitely willing to try. Yum! This looks so fresh …. I love a good potato salad!! 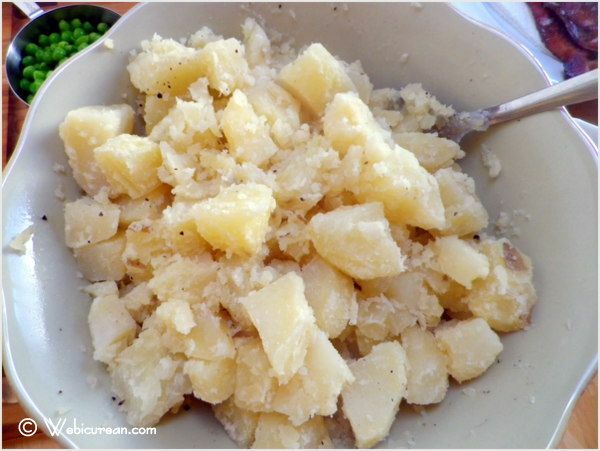 This recipe for potato salad looks sooooo good! What could be better than bacon and peas! YUM!!!!! This sounds amazing! Love the bacon and peas! Jen @JuanitasCocina recently posted..Boneless Honey BBQ Chicken Wings ~ Tailgating #SundaySupper! I love, love, love potato salad and this one looks amazing. Bacon, potatoes, and peas – Yum! I will definitively have to give your recipe a try. OMY- Oh my yumminess!! Bacon, potatoes and green onions favorite favorite and another favorite! Thanks for sharing! I just went to a BBQ that this would have been perfect for but I am sure another one will come along and I will be able to bring this as a tasty side dish. I brought this to a BBQ yesterday, and it was a big hit! I was waiting for this recipe after seeing your teaser on #SundaySupper! Looks so delicious, and I will definitely be making this soon! Can’t wait to dive into it tonight at #SundaySupper on twitter @fromagechick! See you there! I love all bacon and with potato salad how can you go wrong!!! There are so many things to love about this post! I love the story about you building that amazing doll house. I share your adoration for potato salad – if it’s at a party, I’ll station myself right into front of the bowl so that I can eat more than my share of it. I never thought of putting peas into it but I can just imagine that fresh, sweet pop. And bacon makes everything better. I could dive right into your photo of the finished product – its tantalizingly gorgeous! OK so I’m not the only one camping at the potato salad bowl at parties? Good to know! Putting all those little tiles on the roof of the doll house is something I’m sure I’ll never volunteer to do again! I’m always looking for a better potato salad recipe. This one looks amazing. Thanks! What a fantastic twist on potato salad. Sounds amazing!! Oh my word that looks good. I love the addition of peas!! So many delicious recipes with bacon this week for #SundaySupper! This potato salad looks amazing! Can’t wait to try it! love bacon, love peas, love carbs…love it all. thanks for posting! 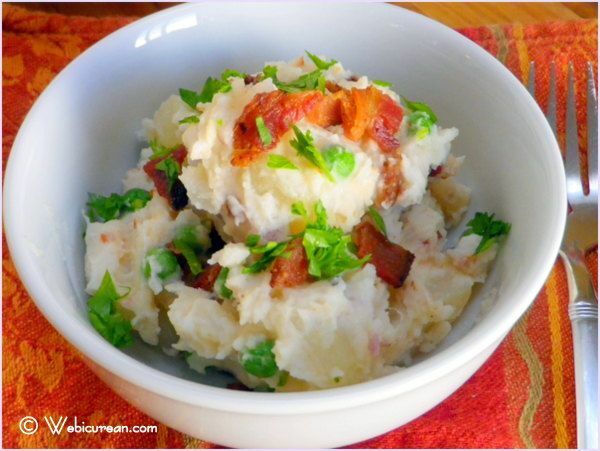 Bacon in potato salad… Yum! Total winner. Happy #SS! What a different potato salad that I have seen before. But can you ever go wrong when you add bacon? Oh my goodness….I have to make this! My family loves my Bacon-Cheddar potato salad, but considering their love of peas, I think they would like this a lot! Looks beautiful too. I love potato salad and you can never have enough recipes for them. 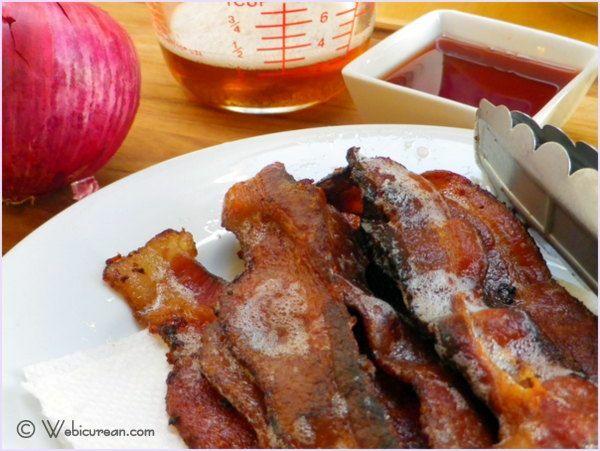 I love love love bacon so this one, I will have to try soon. What a great tip! I love potato salad as well but have never made any. I will have to try the chicken broth and attempt a batch with the girls. Yummy ! Love this ! looks so wholesome 🙂 Mmmm delish ! The bacon op top is the icing on the cake ! Will be making this soon ! Love that you cooked the potatoes in the broth! What a great combo! Hello? Is it me your looking for? I’m singing a song to your potatoes. Excuse me we need to have a private moment. Thanks! Oh wow these look amazing! I can’t decide if they are more potato salad or mashed potato type dish. The dish looks great! Peas! What a sweet little addition to potato salad. Yummy! I’m making this salad today because it sounds perfectly tasty. Because it’s Independence Day, I’m using young petite red, white and blue potatoes. I have great confidence that this recipe will be a hit! I’m sure it’ll be awesome–can’t go wrong when bacon is involved! Happy 4th & enjoy! Time to Tailgate: Cheddar Cheese Jalapeno Bites #SundaySupper | Mama.Mommy.Mom.